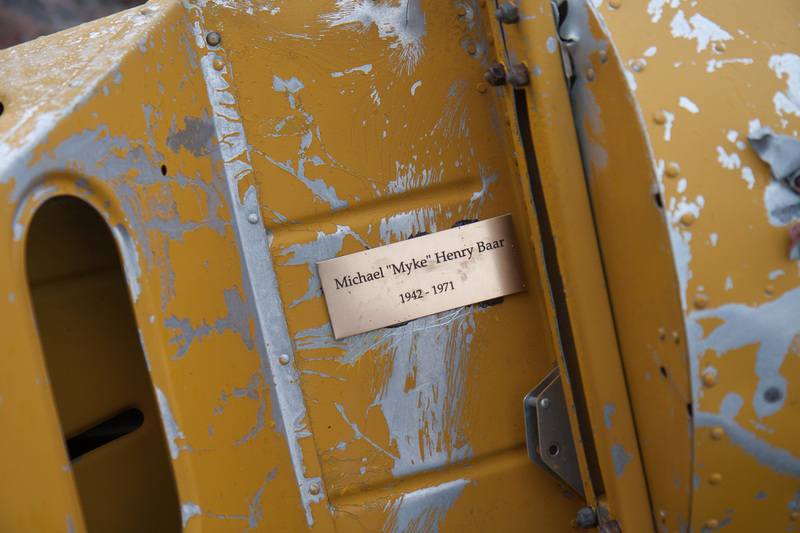 Pilot, Michael “Myke” Henry Baar, 1942 – 1971. 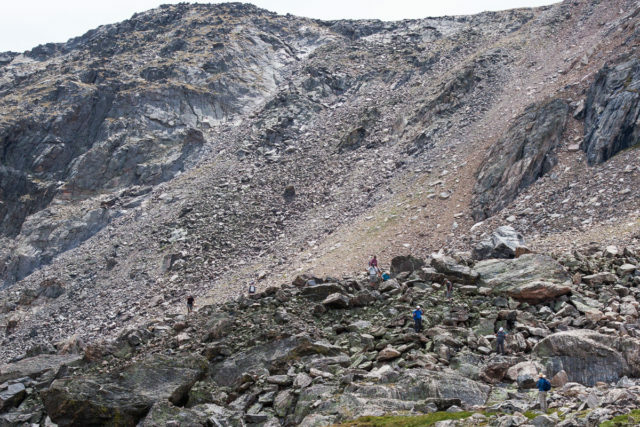 Five years ago I hiked to the remaining wreckage of a airplane which had crashed December, 1971, in the Indian Peaks Wilderness. I subsequently wrote about it here in my blog. Earlier this spring, I was contacted by Suzy Holloran, the wife of the pilot who had died in the crash. Her 12 year-old grandson found my post while researching their family history. Suzy was surprised to learn that any wreckage of the plane still existed. Back then, she had given permission to a salvage company to take the airplane. It appears they only took the stuff of high value, such as the instrumentation, radios, etc. Suzy had asked me for the location and route to the crash, so that she, her husband, Mike Holloran, and her grown kids could go visit the site. 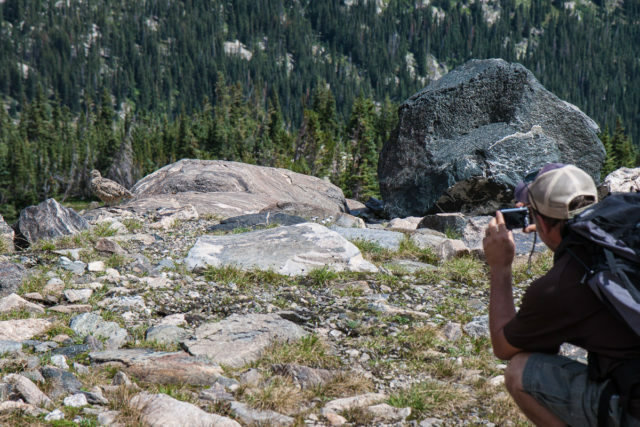 I still had all of the GPS information saved of my hike to the plane five years earlier, which I passed along to Suzy, as well as an offer to take them to the site. They took me up on that offer. My fears were quickly dispelled upon meeting them. They were welcoming, warm, gracious, fit and fun. 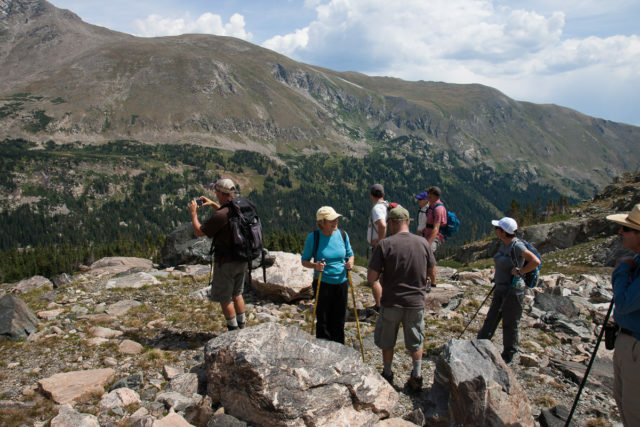 I would be joining nine on the hike: Suzy and Mike (both 72), and their grown children, Matt, Katie (and husband Damon), Michael, Greg, and Becky. (Note there are 3 “mikes” in this story: Myke, pilot, Mike, Suzy’s husband, and Michael, son.) Also with us was Ron Baar, Myke’s younger brother. When I left at the end of dinner and after the campfire, I was totally at ease and felt the the next day’s hike would go off without a hitch. They picked me up bright and early and we caravaned to the trailhead. Suzy, who had physically trained for the hike, was full of energy and set off up the trail with all of us following. I had done several long hikes in the weeks prior to prepare, so I was confident I would be able to make it to the plane. Plus I had a better idea of the route after the hike 5 years ago, so it was going to be easier. 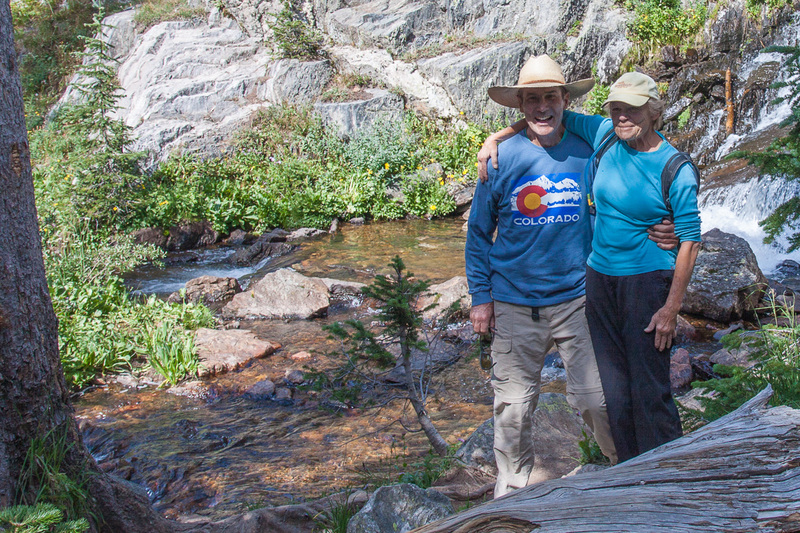 Mike and Suzy Holloran next to Boulder Creek. The mood of the hike was light and everyone was catching up after not seeing each other for a while. Initially the weather was great. 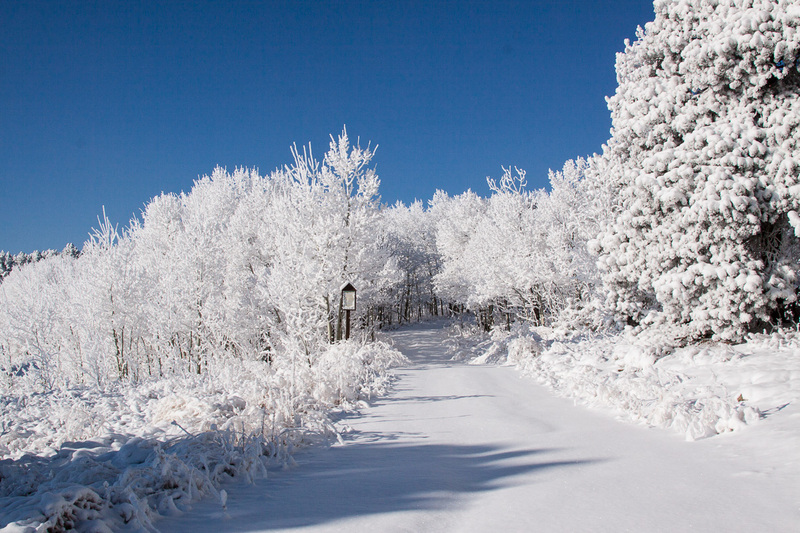 Stopping to catch our breath in the thin air and admire the views. The flowers were gorgeous (after a dull season at slightly lower elevations) and the views spectacular. Matt takes a photo of some Ptarmigan. 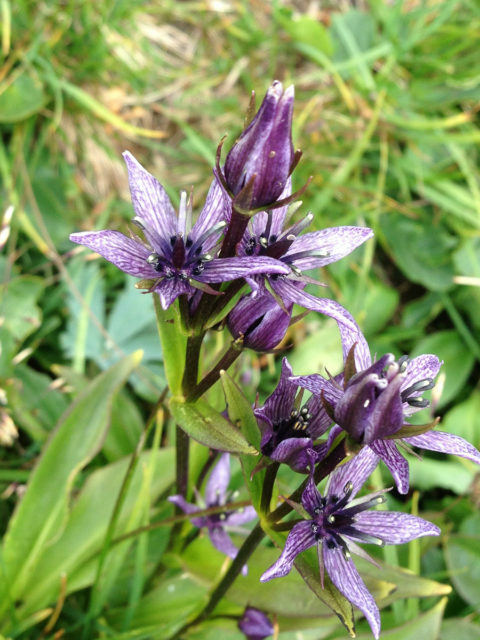 Star Gentian, one of the many species of flowers we saw. It was a bit challenging as we approached the last rise. 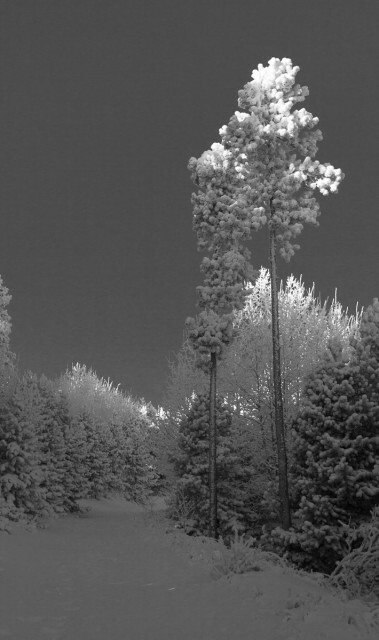 Five years ago there was more snow and in many ways it made it easier then. Now it was negotiating large ridges of rocks and boulders. I think it took a lot out of everybody. We were a little spread out as we came over the last rise to view the lake and the airplane just beyond it. I felt an emotional weight upon seeing it. I continued on, looking for the best route around the lake. Suzy was about 100 yards behind on the rise. I noticed she had stopped there with a couple of the others. I’m sure it was an emotional moment for her. Once past the lake, Suzy and the rest of the family approached the wreckage tentatively. Some clouds had moved in and the wind picked up. Soon we were being splattered with snow pellets, which is not uncommon at this elevation (11,600 feet). Approaching the wreckage, with Suzy at the front. Suzy rested her hands on the fuselage and recounted how she had sat in this seat with with her kids who were still babies at the time. After the crash, she told of how a doctor was lowered by helicopter to save Myke, but he had already perished. She was pregnant with their third child, who was born a week after the crash. I can’t imagine the emotional roller coaster she was enduring at the time. Suzy had a simple plaque made and Matt and Michael affixed it to the fuselage. Ron is a firefighter and affixed a “Smokey The Bear” pin to the seat of the airplane. After a while, reflecting the mood, the weather lightened and the sun came out. As I chatted with Suzy about another hiker who had found Myke’s wristwatch and sent it to her, her sons were analyzing the crash site trying to reconstruct in their minds what had happened. Rear: Damon, Katie, Ron, Greg, Suzy, Mike, and Michael. Front: Matt and Becky. 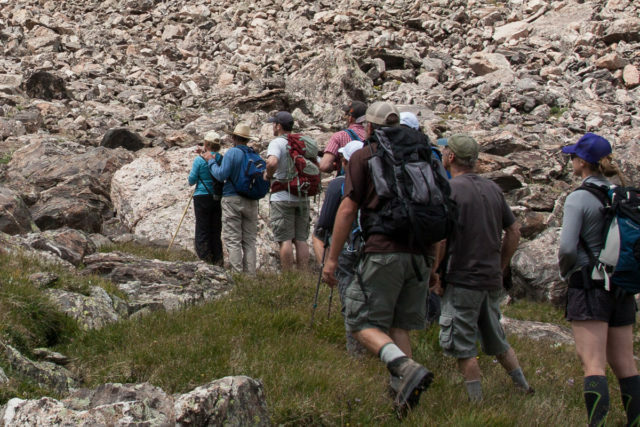 We began the trek away from the inhospitable exposed rocks and back down into the tundra, flowers, forest, and eventually the trailhead. 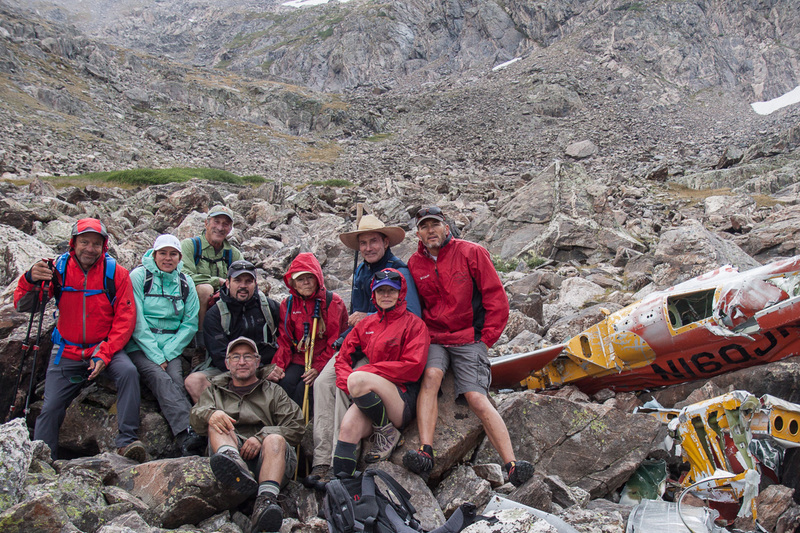 It was a nine hour hike, but all ten of us made it to the plane and back. It will be an unforgettable experience for the family and myself. As Mike said at the end of the hike, “It was much bigger than I expected, big hike and big emotionally”. Myke Baar was 29 years old, a first officer for United Airlines, a flight instructor, with 4200 hours of flying time. Black Friday represents so much of what is wrong with this country. Nobody I know takes part in it. It’s only existed for a dozen years. I keep hoping it will die as a fad, but the media and the corporations won’t let it. They wear maniacal grins while they rub their greedy palms together, leading consumers to think they’ll miss something important if they don’t go shopping. Meanwhile, at least one company closed on Black Friday. R.E.I., which is a store that sells outdoor clothing and ski gear, encouraged people to get out into nature on Black Friday. I was out in nature, but didn’t see anyone else. But then most of R.E.I.’s customers are high end consumers who only want the appearance they’re into nature. 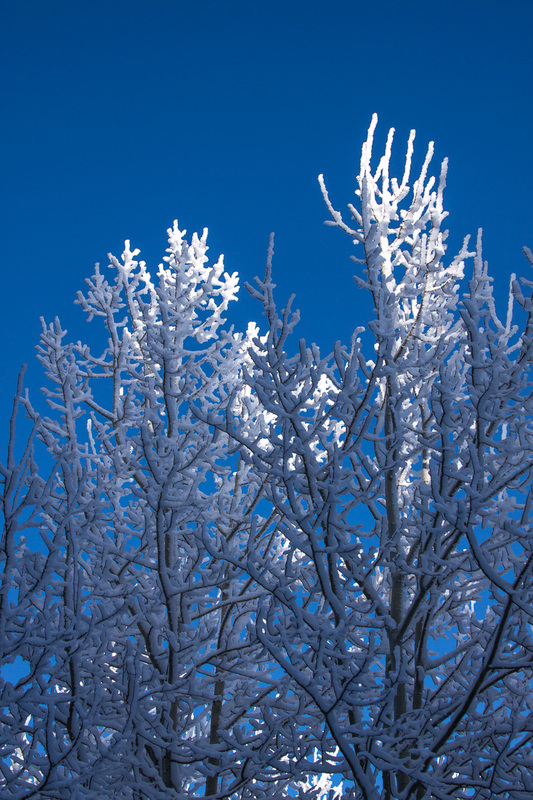 It was a bright and sunny one degree Fahrenheit (-17 Celsius) day after a storm that had some freezing drizzle and ice fog. 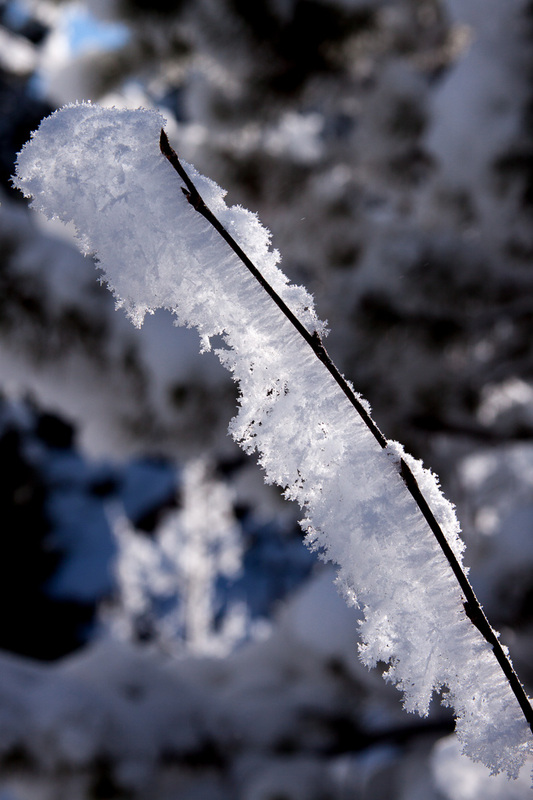 I love these types of storms because of the interesting ice crystals that grow on the grass, twigs and branches. In the above photo, contrary to what you might think, the crystals form on the side of the branch that faces into the wind. 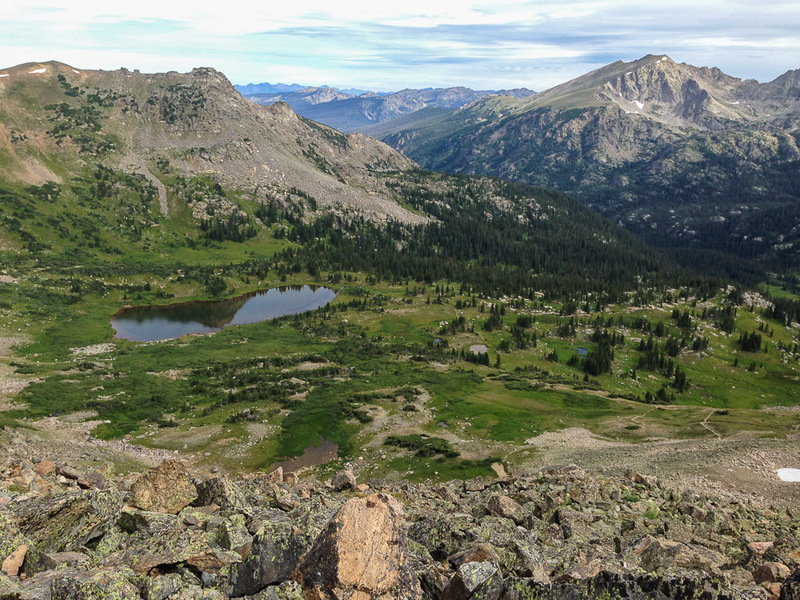 I sat on the jagged granite of the Continental Divide, up at 12,000 feet elevation, contemplating water. The water in front of me, if left to it’s own devices, would end up in the Pacific Ocean. The water in the lakes behind me would end up in the Atlantic Ocean. If the water were to meet, it would be at the tip of South America. I was struck by the thought that if I poured out the water in my bottle, it would be split to take long separate journeys, probably never to be joined again. Actually the water from here probably will never make it to either ocean. It will be consumed for human use either directly or as irrigation, or both. Then it will probably evaporate and end up in the atmosphere. But this morning, sitting on the divide, my focus was on the long journeys in the oceans. I hiked down through the wilderness in an area I’ve never been before. I discovered the old wreck of yet another aircraft. I wasn’t surprised by it. Lux had once told me there were two old wrecks in this part of the wilderness. I had forgotten about it. I visited the other wreck 4 years ago in 2011. There wasn’t much left of this one. The fuselage and engine had definitely been removed from the area. The only thing left were parts of the wings and part of the tail. If some entity went through the trouble of air-lifting the remains out of this wilderness, then why leave the wings behind? 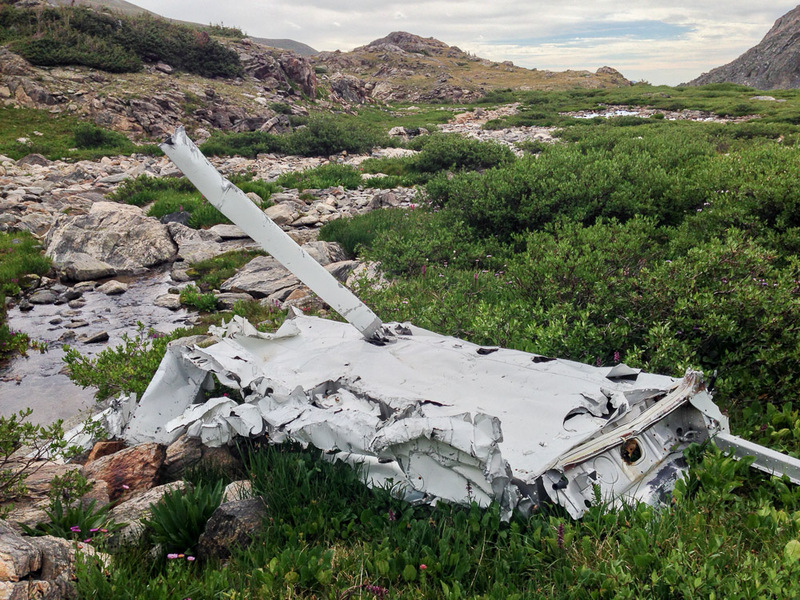 These days, all of the wreckage is removed from the wilderness if a plane crashes. Anything that had crashed prior to the 1980’s was left behind. A lot of planes have crashed here due to the tall mountains and the strong downdrafts on the east side of the Divide that occur in winter. In every case, it was ultimately pilot error. For the next 3 hours I continued down the valley, mostly trying to find a suitable route. The valley is full of small lakes, ponds, marshes and granite cliffs. As I mentioned, I have never hiked in this valley before and I wasn’t entirely sure there was a passable route down. The trail I had hiked up runs up beside the valley and the backup plan was to take that down if I couldn’t find a way. After having to double back up the valley a few times due to a long cliff I couldn’t get down, I finally found some soft soil with a bunch of deer and elk footprints imprinted in it, which hinted at the route to take. Once I was down through the steepest area, I stopped beside the creek and put my hand in it. 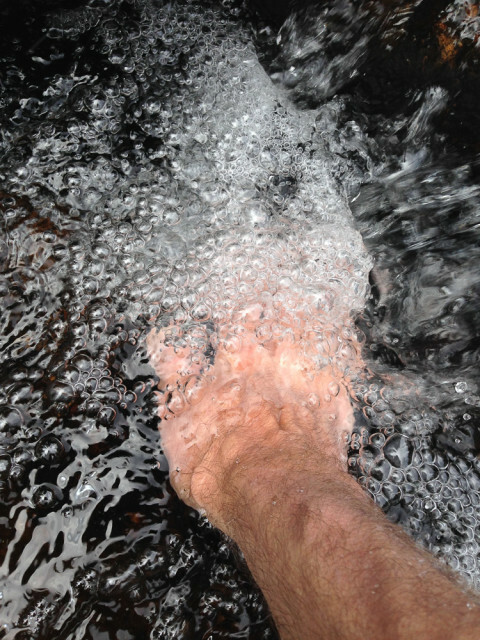 The ice cold effervescent water was as clear as glass. Although it’s much further downstream, this is the same creek that supplies my town with it’s water. And knowing the source of this water is up in the wilderness, makes me happy.